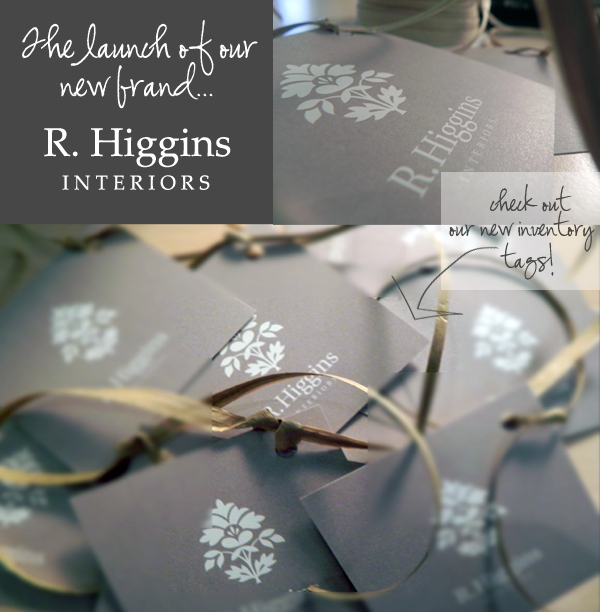 After 16 years of functioning as a top design firm named R. Higgins Designs, you are probably wondering why the sudden change of identity. Well the answer is simple- just like everyone’s houses, we thought we could use a little freshening up. As the rest of society progressed into the digital age over the last decade, we were inundated with work and, frankly, content in our old-fashioned ways. However, we are eager to finally be moving into modern times. Like they say, if you arrive late to the party it is easier to make a big entrance! With this new brand, we plan to fully join the 21st century. Step one: teach Roger how to use a cell phone. Hopefully, after that skill is perfected we can move on to emailing, facebooking, etc. (after all, word on the street is he’s getting an iPad!). We ask that you be patient with him as he will be a little slow at first with all of these things. Also, please keep his supportive staff in your thoughts, for they will be the ones attempting to broaden his horizons. If you’ve had the pleasure of working with or knowing him, you know this process is going to prove to be quite the challenge. But we are confident that we will be able to pull it off. If all goes as planned, we will have Roger Higgins (yes, the same one that still types with one finger) tweeting and posting pictures with the best of them before 2012.